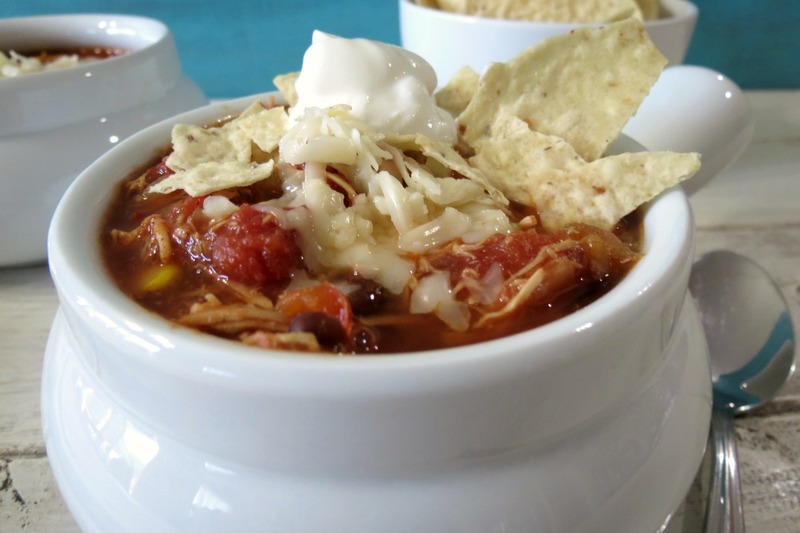 Today I am flashing back to one of my all time favorite go-to CrockPot recipes and that is my Southwestern Chicken Chili. I love this chili, it’s thick, hearty and has that Southwestern flavor that I love. This is one meal that I can eat all of the time. Oh an if you have leftovers, it’s even better the next day. It goes great served with a side of chips and salsa and heck why not make a Skinny Margarita to go with it too? I wanted to share with you a new ice cream that I recently tried and that is SO Delicious Cashew Milk Ice Cream. This frozen dessert is creamy, rich, full of flavor and tastes simply amazing. They come in a variety of flavors such as Dark Chocolate, Creamy Cashew, Salted Caramel Cluster, Dark Chocolate Cluster, Snickerdoodle and my favorite Cappuccino. The flavors are true to taste. SO Delicious Cashew Milk is Non-GMO Verified and is Dairy-Free which is perfect for me. As you may know I can’t handle too much regular ice cream without getting a stomach ache or bloated. Your probably wondering, do you taste the cashews? No, not really, except for in the Creamy Cashew flavor. I think you will be a fan of all of the flavors. As I said the Cappuccino is my favorite, tastes just like coffee, but I also love the Salted Caramel Cluster that is swirled with caramel and has big chunks of chocolate in it. It’s soooooo good. 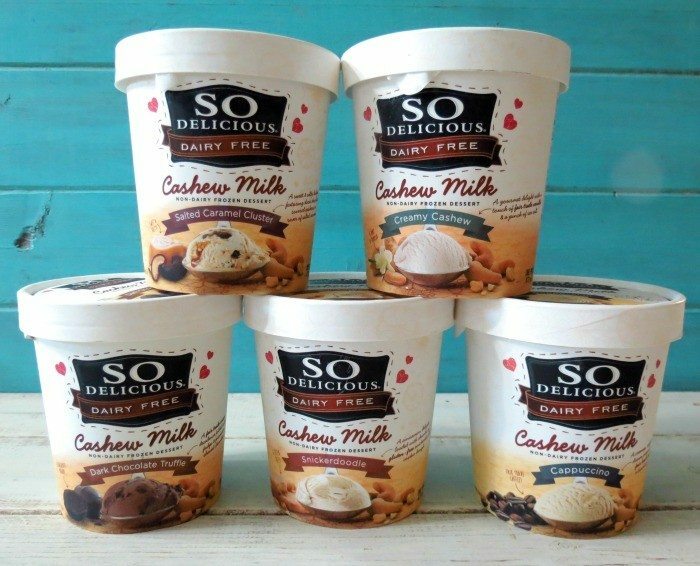 You can check out SO Delicious Cashew Milk Ice Cream in the frozen section of your grocery store. The winner is Natasha, who said: I got myself a personal trainer! Trying to lose 40lbs! I’ve been walking for an hour every day and doing all of my workouts with my trainer. No soda and no more chips! D: I’ve lost 10 so far! 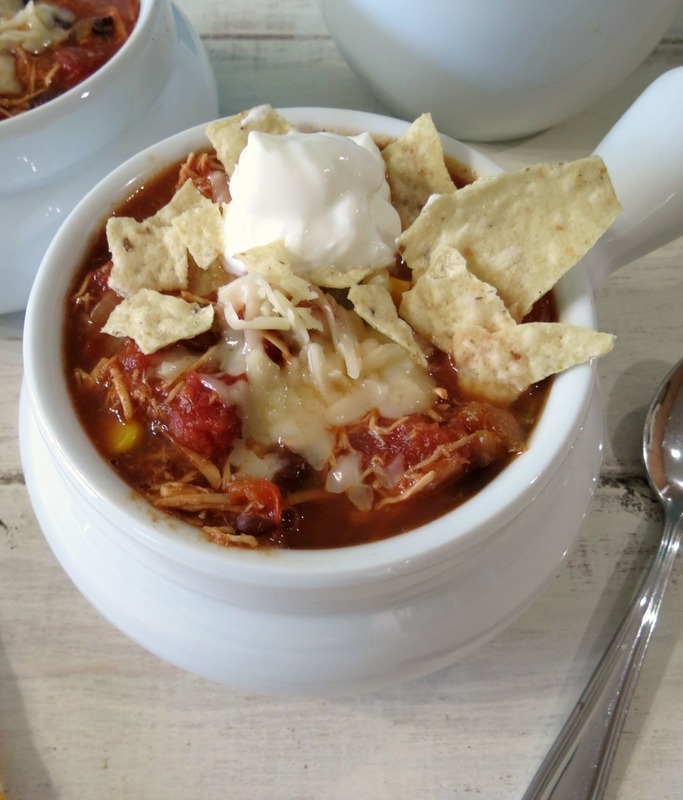 Don’t forget to make the Southwestern Chicken Chili in the CrockPot.